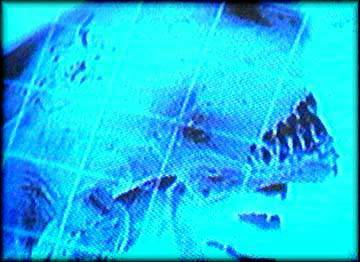 It's speculated the host's body begins to grow the Embryo due to the Xenomorph's altering of the host's DNA. The Embryo grows in the chest cavity just behind the host's sternum for protection, but unfortunately this means a very painful death for the host. Speculation also suggest the Embryo uses some of the host's ingested nutrients causing the host to feel hungry upon regaining consciousness. The Embryo introduces a chemical into the host's digestive system to keep other Xenomorphs from damaging the host. It's also known that a host will experience a slight fever after removal of a Facehugger as their immune systems reacts to the foreign tissue but due to the altering of the host's DNA the Embryo is able to develop unharmed. The time it takes for an Embryo to develop is seventeen to twenty-four hours, and with a Queen Embryo the time is more than twenty-four hours which is speculated to be because of the Queen's more complicated structure. On the U.S.M. Auriga the Embryos took only two to four hours to develop with a Queen Embryo taking only eight to twelve hours for development which was due to the mixture of human and Alien DNA. If a host dies with an Embryo inside him this doesn't necessarily mean the Embryo will die too because there's no evidence to suggest that it's tied into the host's main systems. The life span of an Embryo has yet to be determined.